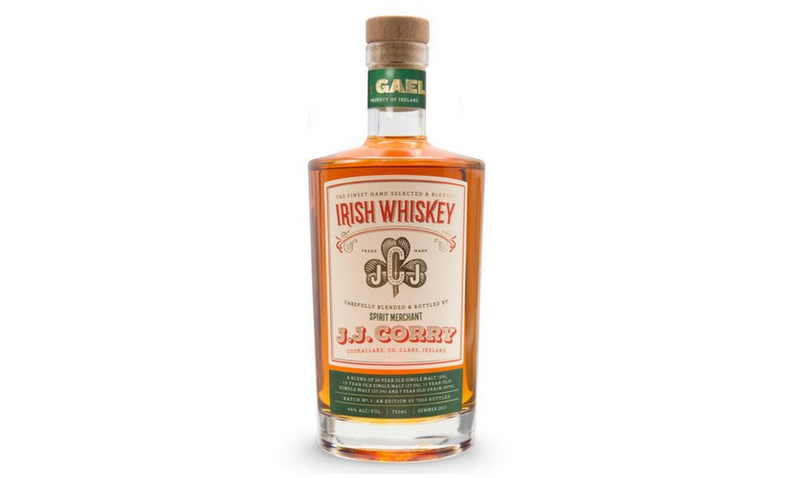 The Chapel Gate Irish Whiskey Co, has announced that its J.J. Corey ‘The Gael’ blended Irish whiskey expression is to launch in the US. 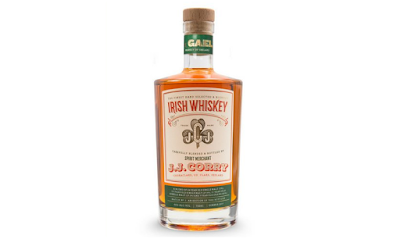 J.J. Corry, ‘The Gael’ (46% ABV) which launched in the UK and Ireland last year, has been blended using a combination of: 5% 26 Year Old single malt, 27.5% 11 Year Old single malt, 27.5% 15 Year Old single malt and 40% 7 Year Old single grain whiskey. The first batch of 7500 bottles has been imported by CompassPoint, a national importer of fine wines and spirits, who has appointed a dedicated team to roll out the brand across the US in 2018. The Chapel Gate Irish Whiskey Co, was founded in 2015 by Louise McGuane, who has resurrected the lost art of Irish whiskey bonding under the JJ Corry brand name. The company is maturing whiskey in a purpose built bonded rackhouse on the McGuane family farm in Cooraclare, County Clare, on the West Coast of Ireland. J.J. Corry, ‘The Gael’, which is named after a bicycle that whiskey Bonder J.J. Corry invented in the 1890s, is said to be a classic Irish whiskey, with full white stone fruit flavours, notes of lime with hints of pink peppercorns, dried grapefruit and apple. Earlier this month, the Chapel Gate Irish Whiskey Co, was named as a ‘Brand of Tomorrow’ on the Walpole Brands of Tomorrow programme. J.J. Corry, ‘The Gael’, will be rolling out across the US from next month, and will be available from selected specialist retailers, for a RRP of $75.00.